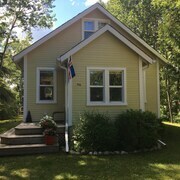 Situated in Grand Marais, this romantic cottage is 3.8 mi (6.2 km) from Grand Beach Provincial Park and 17.5 mi (28.2 km) from Patricia Beach. Ice Fishing at Chalet Beach!!! Situated on a lake, this cottage is 3.6 mi (5.9 km) from Grand Beach Provincial Park and 16.3 mi (26.3 km) from Patricia Beach. 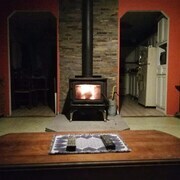 Situated in Grand Marais, this cabin is 3.6 mi (5.7 km) from Grand Beach Provincial Park and 18.4 mi (29.6 km) from Patricia Beach. Good location. 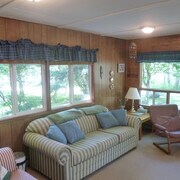 Nicely decorated with good amenities. Where to find Gimli hotels near an airport? 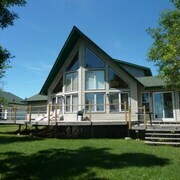 Where can I find hotels in Gimli that are near tourist attractions? If you are looking for a place to stay in Gimli, it's helpful to know that Expedia's database of hotels in Canada doesn't currently include lodgings within Gimli itself. However, Selkirk has a number of places to stay. 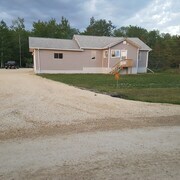 It is 50 kilometres (31 miles) from Gimli. Expedia listed accommodation options here include the Evergreen Gate Bed and Breakfast and Canalta Selkirk. Looking for more things to do? Consider spending a few hours discovering the Variety Heritage Adventure Park and Manitoba Provincial Archives in Downtown Winnipeg, 80 kilometres (50 miles) to the south of Gimli. Downtown Winnipeg hotels include the Inn At The Forks and The Fairmont Winnipeg. Alternatively, you could consider staying in Winnipeg, 85 kilometres (53 miles) to the south of Gimli, where you'll find the Delta Hotels by Marriott Winnipeg and The Fort Garry Hotel. The University of Manitoba and the University of Winnipeg are a couple of the popular sites to see while in Winnipeg. Get your sports fix by making a journey to Shaw Park Stadium, which is 80 kilometres (50 miles) to the south of Gimli. If you are interested in sleeping close by, make a reservation at the Radisson Hotel Winnipeg Downtown or Mere Hotel. Winnipeg International Airport is a convenient airport for Gimli travelers, and is located 80 kilometres (50 miles) from Gimli. Conveniently located Expedia-listed hotels include Four Points by Sheraton Winnipeg International Airport and Clarion Hotel & Suites. 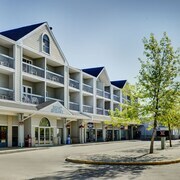 What are the most popular Gimli hotels? Are there hotels in other cities near Gimli? 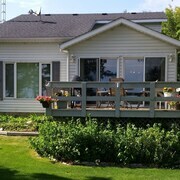 What other types of accommodations are available in Gimli? Explore Gimli with Expedia.ca’s Travel Guides to find the best flights, cars, holiday packages and more!